Chatham High School Boy's Head Coach Mark Maka will be running a boys soccer camp July 15th-19th in Chatham. Details on this great camp are below. Chatham High School Head Coach Gary Adair will be running a girl's soccer camp July 8th-12th in Chatham. Details on this great camp are below. 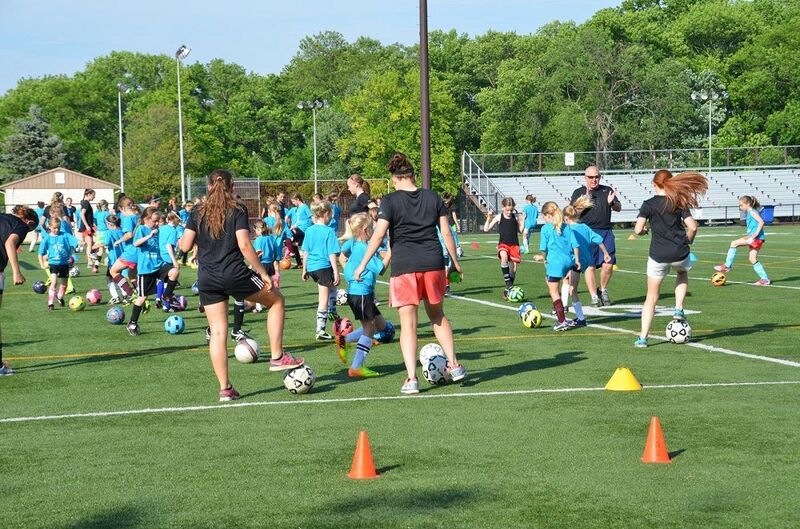 Chatham Girls Soccer Camp is committed to teaching the game's fundamental skills and tactics to players of all abilities in a positive and fun environment. Training sessions are conducted by current Chatham High School coaches and players whose goal is to provide quality individual and group instruction while emphasizing character and sportsmanship. Registration for the Fall 2019/Spring 2020 8U Technical Development Program (TDP) is now OPEN. 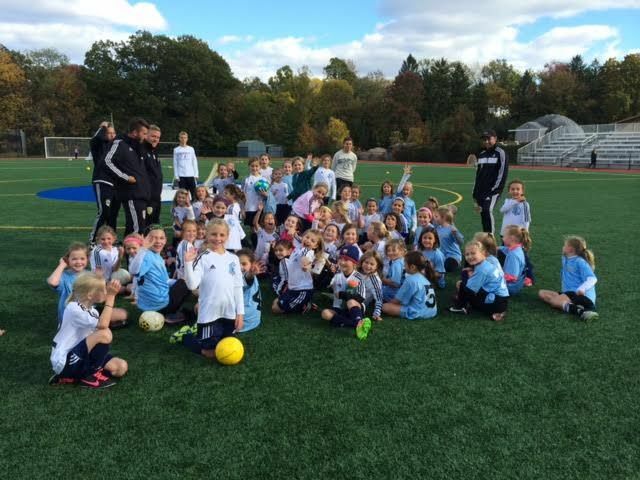 Chatham United runs four programs - TRAVEL, 8U TDP, RECREATION and TOPSoccer. An overview of each program can be found here. Registration is OPEN. Deadline for Fall 2019/Spring 2020 8U Technical Development Program is June 15, 2019. Full registration instructions may be found here. 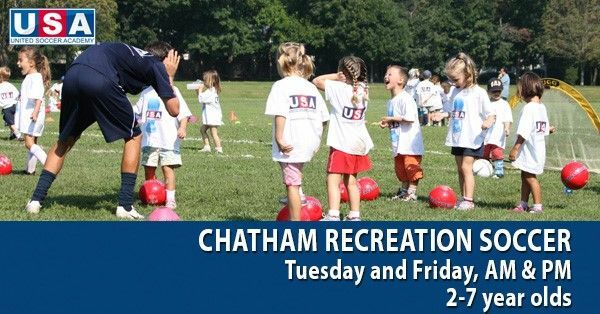 Registration for the Chatham Recreation soccer program will open mid-June and run through mid-August. Registration for TOPSoccer will open mid-June and run through mid-August. Registration for our 9U-15U Travel program closed on March 7, 2019. If you missed the deadline and would still like to try out, please contact to see if there is still room in your age group. The Chatham United website is full of information and should answer any questions you may have. If you cannot find what you are looking for, questions can be sent to chathamunitedreg@gmail.com However, in order to make our email load manageable, we ask that you do not contact us until you have read our FAQ page in full. Our training partners, United Soccer Academy, are offering spring soccer classes on Chatham fields for 2-7 year olds on Tuesdays and Fridays this spring. Click HERE for additional details. Parent & Me Soccer Squirts is a fun and positive introduction to soccer for young children with a helping hand from Mom or Dad! With a parent participating by their side, kids will have fun learning the fundamental skills of soccer through structured activities, fun based games, and scrimmages. Soccer Squirts is your child's perfect introduction to the most popular sport in the world! Skills covered include dribbling, passing, shooting, stealing, and more. Each session is taught through structured activities, fun games, and scrimmages designed to ensure learning and most importantly: fun, fun, fun! Senior Squirts Soccer is the perfect program for players graduating from Soccer Squirts or for children looking for their first ever soccer experience. Each session will focus on developing a particular skill or technique including dribbling, passing, ball control, moves & turns, positioning, and more. 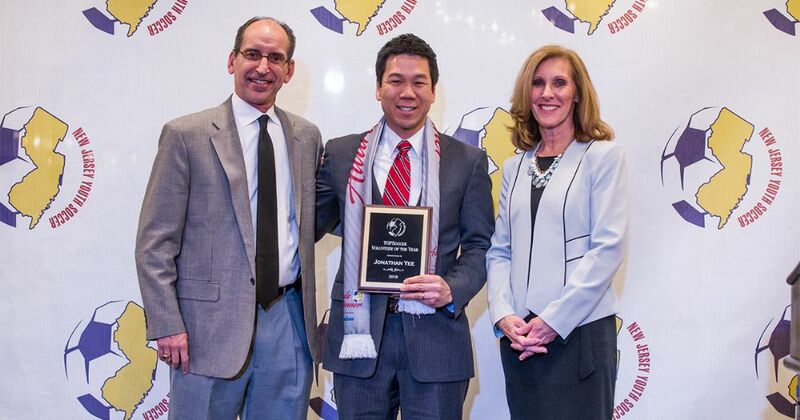 Our very own Jonathan Yee was honored as the New Jersey Youth Soccer TOPSoccer Volunteer of the Year. Jon started our TOPSoccer program (soccer for children with special needs) this year. We are very proud of Jon and all of the volunteers who helped launch this great program. East Windsor, N.J. (Feb. 12, 2019) ― New Jersey Youth Soccer recently hosted its 31st Annual NJYS Awards Dinner presented by RWJBarnabas Health, where many players, coaches and members of the soccer community were celebrated at the Pines Manor in Edison, N.J. One of the honorees that night was Jonathan Yee, who was selected as the 2018 NJYS TOPSoccer Volunteer of the Year. "I am extremely appreciative of this recognition, which I believe is really an acknowledgement for our entire TOPSoccer community in Chatham," said Yee. "It took a small village of people to get our TOPSoccer program launched in our town, and this experience has been a wonderful reminder of the good we can accomplish by working together for a worthwhile cause centered on kindness." This past year, Yee led an effort to bring a TOPSoccer Program to Chatham United Soccer, a community-based soccer club with a mission of serving all Chatham residents. A father of three children, Yee attended a TOPSoccer presentation at the New York Red Bulls Youth Soccer Summit, which inspired him to research the program and then ultimately begin the pursuit to establish one at Chatham United Soccer. A dedicated volunteer coach, Yee has also set up a futsal program at Chatham United Soccer and ran the Chatham United Cup, a 3v3 tournament created simply for players to enjoy the game. He has also organized several trips to Red Bulls matches, where their TOPSoccer players were even treated to a special on-field experience at halftime of a game. "I have had a ton of fun, made new friends, learned a lot about teaching players with varying abilities, and I have also learned a lot about myself," Yee continued. "Seeing the smiles on our players' faces as they race through the parent tunnel at the end of each session is absolute gold. I have already been rewarded so much just by being a part of TOPSoccer, and that amazing feeling I get every week being a part of something special will remain with me forever." TOPSoccer (The Outreach Program for Soccer) is a community-based training and team placement program for young players with disabilities. The NJYS TOPSoccer Volunteer of the Year Award is presented each year to an individual who best exhibits the key qualities of patience, understanding, dependability and flexibility to adjust to changing on-field situations. The recipient continually promotes player safety while teaching and creating a fun and sociable experience for all participants.